Here are just a few of the many good things that people use this list for. Asking for recommendations for plumbers, electricians, masons, and the like. Discussing town politics, current news and events, schools, and other Arlington-related issues. Finding and providing housing in Arlington. Selling or giving away used stuff. 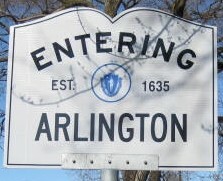 Advertising concerts, plays, dances, etc., which either take place in Arlington, or involve Arlington residents. Finding other people in town who are interested in the same things you are. The Arlington list covers a wide range of topics. You will almost certainly find that some topics interest you more than others. You should skip over or delete messages or topics that don't interest you. Doing so will probably make the list much more interesting and useful to you. Don't be surprised if some days nothing seems of interest -- topics you find more relevant will probably crop up again in a day or two!